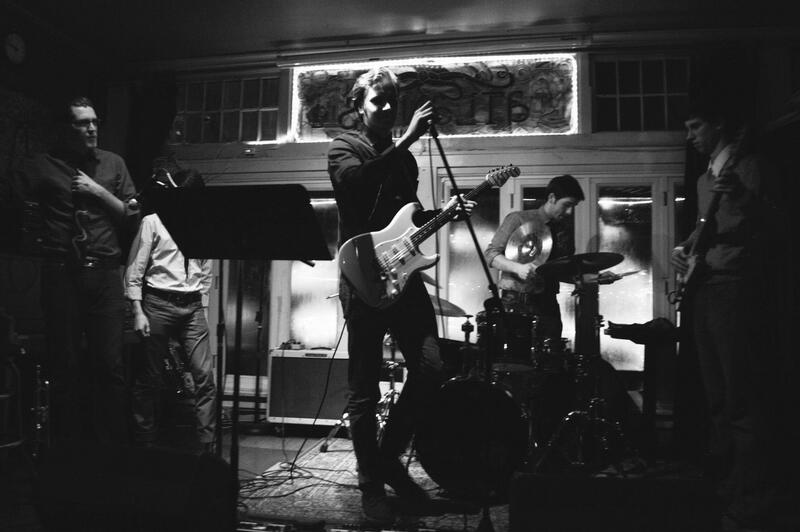 Singer, songwriter and jazz guitarist Peter Knudsen has taken a few players from the University of Portland Jazz Band and turned them into an underground jazz/funk group. Secret Sauce is now booking shows and developing organized management with the help of Red Thorn Creative Agency. Last Thursday Knudsen and his band played a show with The Harm and acoustic guitarist Daniel Silvey. “My buddy Shane Geiger booked us with The Harm at Mississippi Pizza. That was our first actual formal show,” said Knudsen. Before Thursday night Secret Sauce just played house shows at friends’ houses. Now, Knudsen hopes to have future opportunities with recording. They have a lot of ideas they get from improvisation and jamming together. As a composer, Knudsen is experienced with various types of music. He has been in a band in Chicago for the last six years, called Tenstrike. They experiment with many types of musical genres from latin, blues to hard rock n’ roll. “It’s fun, because everyone brings something different to the table.” said Knudsen. Secret Sauce is adopting similar techniques as they fuse modern funk from a Stevie Wonder approach, while giving it their own subjective spin. They covered John Mayer’s tune, “Vultures,” on Thursday night. “We are having a lot of fun, we hope to just keep going and see what happens. Whatever the future brings,” said Knudsen. As the group works together to begin composing music and booking shows, Knudsen has high hopes for his new band. Come See UP’s Own Jeff Kerssen-Griep Play Live!